Walking and running are two popular cardio exercises that share a lot of similarities but also have some key differences. Today’s post will compare walking and running side by side and help you find the most suitable exercise for you. One of the most notable differences between walking and running is the impact they have on your joints. Walking is a very gentle exercise that places little pressure on your ankles, hips and knees and is suitable even if you suffer from arthritis, back pain or hip problems. Running places a lot more pressure on your joints and is something you should avoid if you suffer from a pre-existing joint problem. If you want to lose weight rapidly, running is a much better choice than walking. Running blasts through up to 1,000 calories per hour while walking uses up just 240 calories per hour. This means that by running you can burn body fat more than 4 times faster than if you stick to just walking. Running is a difficult, challenging exercise that will test your fitness to its limits. This makes it a great choice if you have some fitness experience and enjoy pushing yourself to perform at your peak. However, if you’re a beginner or someone who doesn’t enjoy intense physical activity, running may not be for you. 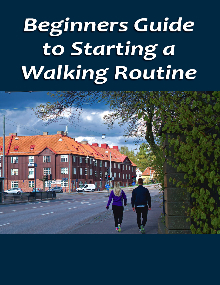 Walking is a much lighter exercise and doesn’t require you to push past your comfort zone. This makes it a perfect option if your current level of fitness isn’t very high or you prefer to exercise at a slower pace. It also makes walking much more accessible than running. Due to the larger amount of pressure that running places on your joints and your body, it does carry a larger injury risk than walking. Ankle sprains, ankle twists, back pain and shin splints are all much more likely to be caused by running than walking. However, by wearing a good pair of running shoes, making sure that you let your body rest when you need it and stretching on a daily basis, you can reduce your risk of these injuries. Both running and walking can protect against a range of chronic diseases including cancer and diabetes. They also help to lower your blood pressure, regulate your blood cholesterol levels, strengthen your bones and improves sleep cycles. In addition to this, walking and running both provide you with an opportunity to get outside, enjoy the fresh air and top up your vitamin D levels. I hope this article has helped you decide whether walking or running is the best exercise for your. Both options are fun, accessible exercises that will keep you fit and enhance your quality of life in numerous ways.